Eight people were killed and dozens injured recently when gas explosion leveled two five-story buildings. The specific cause of the explosion is still under investigation, but the National Transportation Safety Board believes that a natural gas leak was the reason for the blast. A crack in an eight-inch gas pipeline that runs next to one of the two demolished apartments may have been the source of the leak. This incident occurred in East Harlem, but the reality is that it could happen anywhere as the gas pipe was part of a system that is over 100 years old and which spreads throughout the United States. Boston premises liability lawyers can represent victims who sustain injuries if a similar gas leak explosion occurs in the Massachusetts area, which is an unfortunate possibility due to the fact that the state has some of the oldest and most dangerous pipes in the nation. The Atlantic took a close look at the risks presented by gas pipes following the devastating Harlem explosion. What they found was disturbing. In the United States, there are more than 2.4 million miles of pipelines carrying natural gas nationwide. More than 80 percent of the network of gas pipes is made up of small distribution pipes that deliver gas from the main system to houses, apartments or office buildings. The remainder of the pipes are used for obtaining natural gas from its source and moving it to refineries and then on to power plants. The gas network has grown rapidly in recent years, with an almost 60 percent increase in the past three decades. Plans are also moving forward to develop more than 1,723 new miles of pipelines because domestic gas production is at an all-time high. Yet, as the number of gas pipes increase, there may be inadequate precautions being taken to fix, repair and replace old existing pipes that are starting to crack or become worn out. Since 2004, 129 people have died and 533 people have been injured as a result of incidents with America’s gas network. Half of all of the gas pipes in the entire U.S. were constructed during the post-war boom of the 1950s and 1960s and many have not been updated since. Some are even older. For example, the gas pipe that likely caused the explosion in East Harlem dated back to 1887 and was made of cast iron. New York, where that explosion took place, is one of just five states that has a high concentration of old cast iron case pipes. Unfortunately, Massachusetts is another state with a lot of very old cast iron piping. In total, 36,000 miles of these older gas pipes are contained in Massachusetts, New Jersey, New York, Michigan and Pennsylvania. This is a problem because cast iron is four times as likely to have a serious leak than other materials from which pipes are constructed. Companies do not have incentive to replace pipes under the current regulatory system, so there is probably not going to be a fix to this issue any time soon. 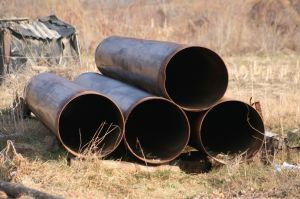 In the meantime, people continue to fall victim to accidents and injuries from the aging pipelines and companies that are responsible for their care and upkeep could find themselves the subject of a premises liability lawsuit.